The Limited Supplies challenge on Split Coast was to frame a project. I went into my attic to the 'frame box' and found these cute little (2x3) blue and pink ceramic frames that I bought for $1 each about oh..... 10 years ago?!? and I thought - boy it's time to use these pretty little things!! 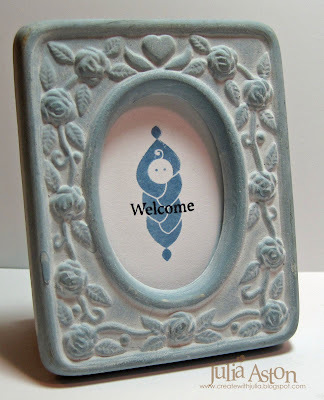 I just love this swaddled baby stamp from the Celtic Heritage set by Waltzingmouse Stamps and it fit perfectly into the framed area - then I simply stamped the 'Welcome' sentiment across the body. Sweet and simple! My niece is having a baby in Sept so one of these will be for her!! I wonder which one?!? 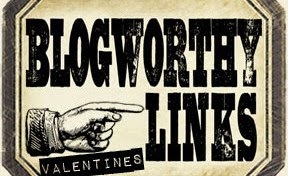 You still have time to check out the Waltzingmouse Blog hop!! There are two stamp sets from the new release up for grabs! 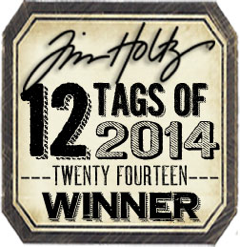 You have until Sunday night 2/7 at 11:59 pm EST to leave your comments - start the hop here!! Thanks so much for coming by today - hope you are having a good weekend! 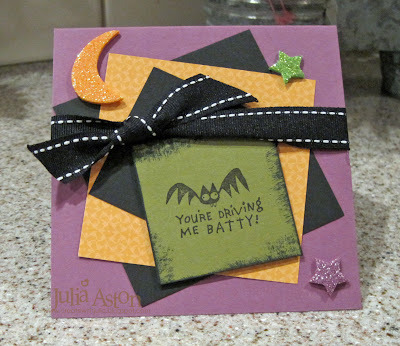 The Limited Supplies Challenge on Split Coast was to use Spooky colors and no more than 4 embellishments. I used black, purple, green and orange - a ribbon and 3 sparkly foam embellies. I started this card having all the squares lined up - then accidentally hit the pile and I liked the way it looked all askew! We just got back from a wonderful week away in VT - and it's great to be back stamping again! 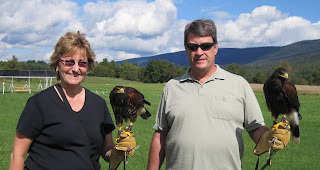 One of the things we did while we were away, was take a class at the British School of Falconry at the Equinox - we had an introductory lesson where we learned how to call a hawk to our gloved fist and release it back to the perch - then we walked along the field - where the hawk followed from tree to tree - then flew back to the leader - what a super experience that was!! Here's Kent with Wallace on his glove - Dawn is attaching a transmitter to his leg in case he flew away - they could track him. Here is beautiful Hamish - who I got to work with. In this picture - he's sitting on my left gloved fist and I'm taking the picture with my right hand. I wanted to lean over and give him a kiss he was so 'cute'! - but Dawn said they're really not into that (!) - he was just inches from my face and never tried to peck or shy away. He was happy to be going outside to play! Then we walked them outside where Dawn took our picture - and she proceded to teach us how to cast them off our hands. They have little strips of leather tethered to each leg - and those are wrapped around our glove so they don't fly away until we are ready to work with them. We swung are arm forward while releasing the strips and they would fly to a perch - and when we raised our glove to waist height again they would come swooping back to us. 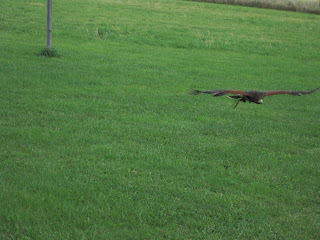 Kent got this great picture of Hamish flying back to me. Dawn also put a little piece of filet mignon on my glove as an incentive for him to come back! 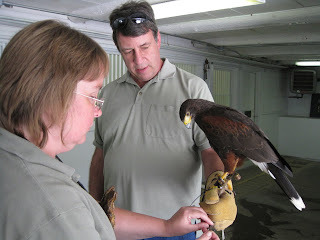 Dawn told us they use hawks for these classes instead of falcons because hawks are social birds so they are comfortable when several birds are in the field. They also train to the glove - not to a specific person - so they will do their 'tricks' with anyone who wears the glove where the falcon trains with a specific person and works only with that person. 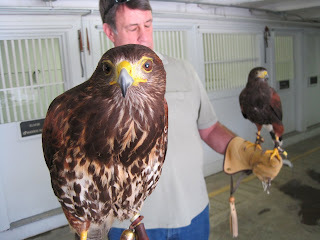 You really should try this if you ever get the chance - these birds are absolutely beautiful and so fun to hold!! I made this fun box for today's limited supplies challenge on Split Coast which was to use only Digi images and die cuts. Well...... I needed to make favors for my 4th of July/MIL's B'day cookout that we are hosting on Sunday - and I didn't have a Patriotic digi image.... so I used a clip art image from The Vintage Workshop from the Cute as A Button set. I used a scalloped square nestability and a star Shapeability as die cuts. The box is one of Lauren's timeless templates from PTI. Now I just need to make 6 more! I made this card for the Ways to Use it Challenge on Split Coast this week - The challenge was to use corrogated cardboard on your card. I ripped the top layer partially off and cut it with my Nested Flowers Shapeability. I embossed the background - inking the inside of the Leafy Branch folder to color the impression (not too noticeable in the picture - IRL the leaves are darker then the background!). The butterfly is a layered sticker from K&Co. The sentiment uses two different PTI sets - Borders & Corners (Circles) and Limitless labels. Have a safe and happy 4th of July Celebration to everyone here in the USA!! We're finally having sunshine today here in MA after 2 weeks of rain- although thunder storms are predicted for tonight and tomorrow night - they say Sunday will be warm and sunny for my cookout Whooo Hoo!!! And a big heartfelt thank you to everyone who is serving in the military and protecting our freedoms for us...! 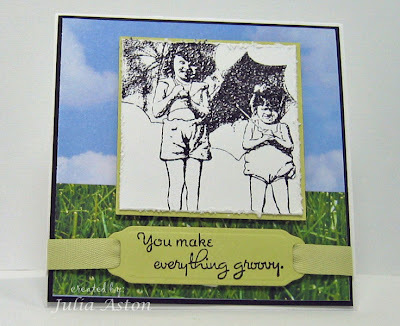 I ended up making a second card for the Inspiration Challenge on Split Coast this week. 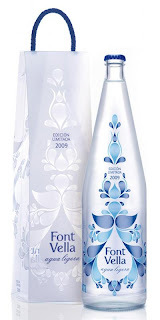 I love patriotic stamps and was inspired by this pretty bottled water to get out this sweet little Statue of Liberty from Celebrate the Day set by H&M Stamps. It's on sale right now for just $4.00 so hurry over and snap one up - it includes some graduation images too! The sentiment is from the Hoo Rah Sentiment set. I also did this weeks limited supplies challenge from Split Coast on this card which was to use only colors of water (blues, greens, sand etc), a ribbon, brads, and use piercing on your card. So I think I got it all! 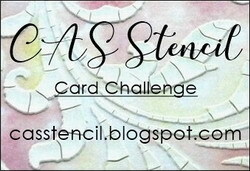 Because I have been busy with my niece's pre-wedding events the past few days I decided to try and incorporate 4 challenges into this one card to catch up for a few days away from stamping! 2) Split Coast Limited Supplies - make a card for a Holiday in May - mine is Teacher Week. 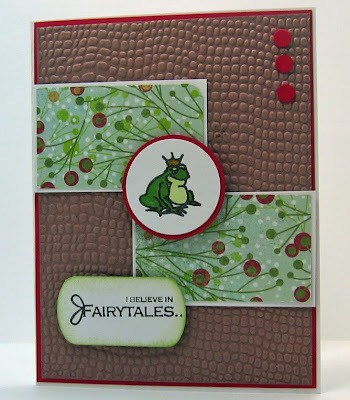 4) Color Throwdown#41 to use Riding Hood Red, Baja Breeze and Certainly Celery! The stamps are all Taylored Expressions - I re-stamped, cut out and popped up different layers of the balloons and the red one is actually a punched circle because on the stamp that balloon says 'get well'. The green balloons are flat, the blue balloon is one layer up and the red balloon is 3 layers up - all on foam dimensionals. You can see the layers here. The red frame is made by layering 2 scalloped rectangle nestabilities - one inside the other- and running it through the Cuttlebug. The background is Swiss dots Cuttlebug folder and the gems are tiny twinkles from Taylored Expressions. Kate & Greg's wedding day is finally here - They originally were going to have their honeymoon in Mexico (!) but had to change their reservations because of the threat of the swine flu epidemic and were lucky enough to be able to book a Carribean Cruise instead. That'll be a story to tell their future children! 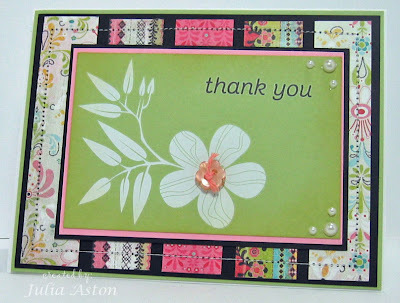 The limited supplies challenge on Split Coast was to create a border with stamps - bonus points for using flowers! So I stamped some single blooms right onto the designer paper along the bottom of my card. 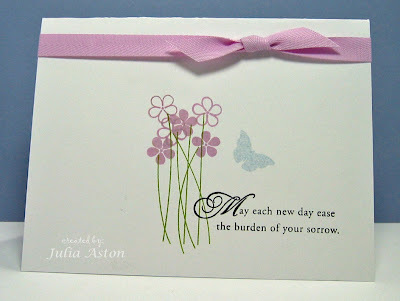 I used Taylored Expressions Sketch and her stamp set Fresh Flowers for my card. I just love this set that also has a shutter and window box to use with the window as well as lots of flowers, vases and sentiments. I cut open one half of the window and then colored the inside piece to look like the stamped window. I don't know if you can tell from the picture - but there is a branch with a pink bird sitting on it on the DP showing through the window. I was going for the 'looking into the back yard' idea with this! I colored the window with copics and attached it to the card with foam dimensionals. 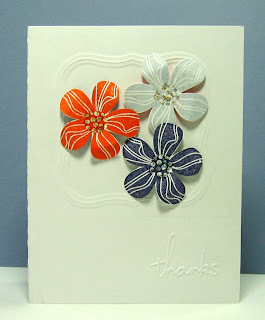 I stamped the single flowers directly on the designer paper along the bottom for a garden effect. I added some tiny bling to them, then attached the sentiment and flowers to the window with foam dimensionals. Thanks for stopping by today! I hope you all have a super weekend! A Frosted Birthday and a Fried Egg! My first card uses Julee's Monday Mojo sketch and the colors from the color throwdown challenge - to use pink, turquoise and orange. 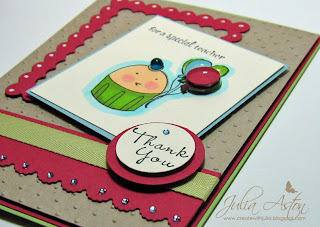 This cute cupcake and sentiment are from a new stamp set from H&M Stamps called Cupcake Wishes. I added a little scoring along the top of the card with my Scor Pal and used an Ornare template for the piercing. My second card was made for the limited supply challenge on Split Coast - to use 1 color card stock (ok to use neutrals too) use 2 patterned papers and use 3 embellishments. I used Taylor's Sketch and I stamped an egg on my card which was Sharon's no time to stamp challenge. These fun stamps are from Two Scoops Rice Designs. I used gems, paper piercing and ribbon as my embellishments. I have been so busy this week that I haven't been able to stamp for a few days - so I'm trying to catch up with this one little card combining three Split Coast Challenges ! 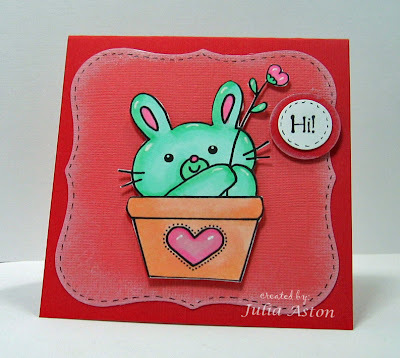 The limited supplies challenge was to use spring colors and a flower - yesterday's Ways to Use it Challenge was to use a sticker (my flower and sentiment are rub-ons) and I used the sketch challenge from Wednesday ! I just love this Urban Prairie Designer paper from Basic Grey - don't you?? Gotta Go! 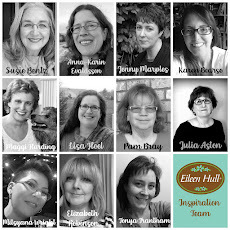 I'm off to the Stamp New England gathering in Portsmouth, NH - whoo hoo!!!! 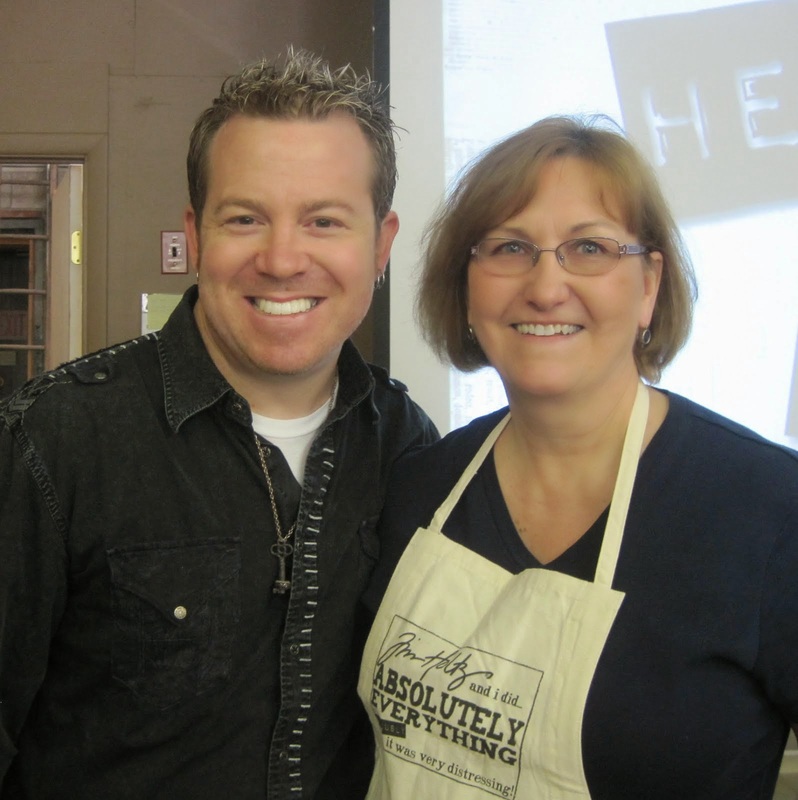 My next post will have pictures to share with you of who I met there and what fun things we made!! Maybe you are going too??? That quote from Teddy Roosevelt just came to mind as I was loading up this picture! This is Blue my BIL's dog and she picked up this stick on our walk today up in Killington, VT. DH and I are just back from a few days visit there. This is DH and SIL with Blue - walking down the road on the way to Kent Pond. Notice how rutted the road is? It was pretty cold there today - but they have had some thaw and the dirt roads get real messy when it gets warm and all the snow starts to melt. And this is the half pipe they built at Bear Mountain at Killington for the International Snowboarders Competition that is happening there this weekend. We just missed it (and the thousands of people that will be attending!) leaving today - but it will be on national TV next week if you are into that sport! It was great being away for a few days but I was happy to be able to get back to stamping tonight! I'm trying to catch up on a few of the challenges over on Split Coast. 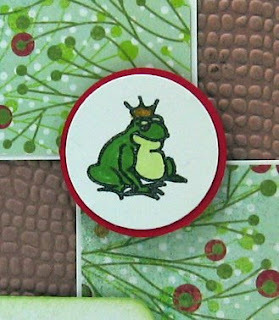 This card is my use green on your card for the Ways to Use it Challenge and has a bug on it for the Limited Supplies Challenge! The stamps are from the Honey Bees and Honey Bee Sentiments sets from Papertrey Ink and the punched edge was made using the scalloped punch by EK Success. I'll most likely be back tomorrow with a card for the Inspiration challenge. Be sure to check back here on Sunday when all of the H&M Stamps Design Team will be doing a blog hop showing you some fun spring crafts! 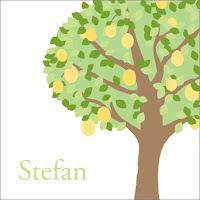 The inspiration challenge on Split Coast from Stef was a website called Spunky Sprouts. This wall decor was what inspired my imagination today. And this is the card I created. I kept it simple like the sample - I stamped the tree top, colored it with copics and cut it out. I stamped the tree on the white panel then adhered the tree top over it with foam dimensionals having the edges go 'out of the box' a bit. The stamps are all from H&M Stamps . 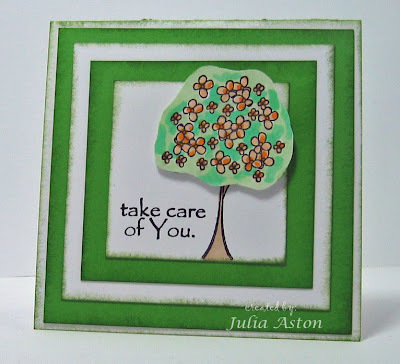 The tree is from a new set called Seasons of Trees and the sentiment is from a sentiment set called A Time of Caring (retired). I was so inspired by this site today that I made a second card for the inspiration challenge. The simplicity of this pretty pillow also caught my eye. 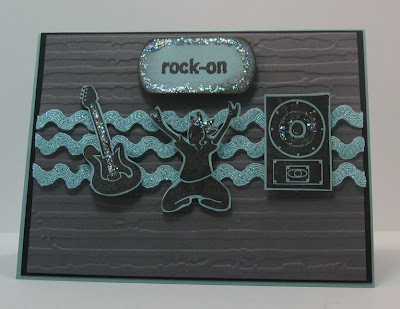 For this card I clear embossed the images which was Sharon's stamp simply challenge this week - to use embossing on a card. I used my Versamark Watermark embossing ink to stamp the images on my labels one nestability (I thought it gave the idea of the pillow shape! ), sprinkled on the clear embossing powder - tapped it off - and heated it with my hot gun. Then I just knotted the double stitched ribbon around it to keep it clean and simple like the pillow. And last but not least! Here is my less than 30 minute card for the limited supplies challenge on Split Coast - it took me 28 minutes to get this together! This bunny is a free digital image from Two Scoops Rice Designs that I got here. I printed the image and then colored it with copics, cut it out and layered it onto the Labels One nestability die cut using foam dimensionals. I sponged the edge of the die cut with white ink just to give it a little definition and also did faux stitching with a black micron pen. I stamped the sentiment from Inky Antics and punched it out layering it to another punched circle and attaching it with foam dimensionals. and DONE! Ok! I'm off to enjoy this beautiful weather God has given us today!! And later tonight DH and I are going out to dinner and then to a local Symphony with some friends. Thanks so much for stopping by! See you soon! First - in case you were looking for the H&M Sneak Peeks today as I promised yesterday - we had to move it to tomorrow as some of the DT members didn't get their new stamps until today (me included!) 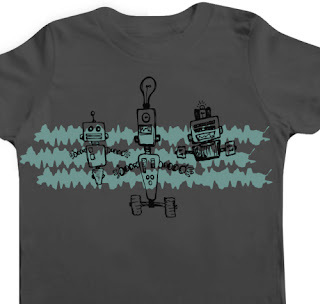 so - we'll all be posting our peeks tomorrow so be sure to stop by! Heather has 3 fun new sets coming out on Sunday March 1. My card today was made for the Limited Supplies challenge on Split Coast. We could use only one stamp on our card and we had to use it to make the designer paper as well as for the main image. 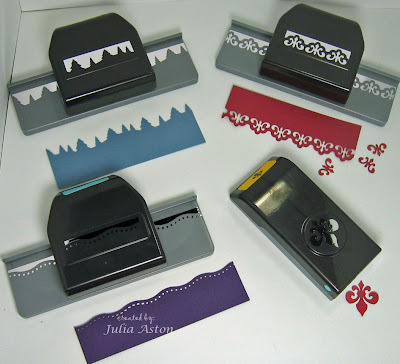 You could only use ribbon and/or brads and only the sentiment that went with the stamp set you chose to use. I knew I wanted to use this great chandelier stamp as soon as I read the challenge. I just got it from the $1 bin at Michaels and thought it would work well as a background stamp. I cheated a little and used a Verve Visual sentiment - since my one image stamp wasn't from a set so obviously didn't include a sentiment and I really needed one for this card! 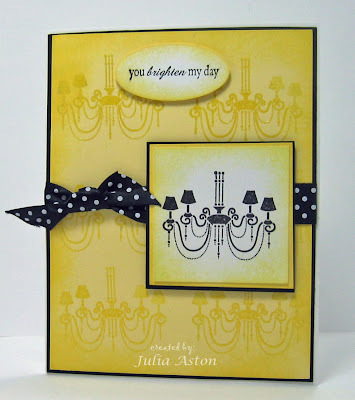 I clear embossed the chandeliers on the background and sponged all the edges with Lemon Tart ink. The sentiment and image are up on foam dimensionals. 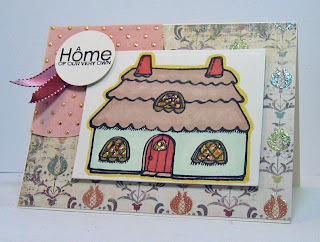 This card also qualifies for Sharon's stamp simply challenge "Cabin Fever" to make a bright springy card. I think the Lemon Tart card stock makes this card very bright don't you?? And here is a picture of all the new EK Success punches that I've purchased over the last 3 days using my 40% off coupons from Michaels (Yippee!!) Some of you wanted to know which ones I got after I mentioned purchasing one the other day. Top left is a fun tree line punch - top right is a wonderful fleur de lis edge with the bonus of leaving tiny fleur de lis pieces after you punch! Below that is a single Fleur de lis punch and bottom left is a dotted wavy line punch. The line punches sell for $14.99 and the single punch is $9.99. (that's before my 40% off). These punches cut through Papertrey Ink card stock which is thicker than Stampin Up. (I have had trouble with the Martha Stewart punches and the thicker card stock). The Michaels in my town has about 10 different styles of these EK Success punches. Another fun thing about the design on these low profile punches is that they lay flat - there is a little lock on the back that holds it closed when not in use for easier storage. Please come by tomorrow to check out my sneak peek of one of the new H&M Stamp sets! 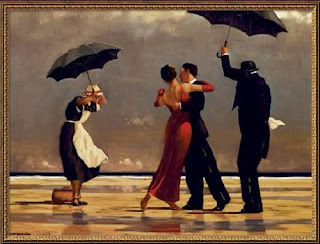 So the Fan Club inspiration challenge on Split Coast this month is this wonderful piece of art by Vettriano called The Singing Butler. And here is what I created based on that picture - an almost EXACT replica isn't it?!?!? LOL!! In my defense - I guess I should explain that I also incorporated the restriction of using only black ink (Stamp Simply #75 challenge from Sharon) AND to feature green on my card - especially green designer paper (SCS limited Supply Challenge). The cute little girls with their umbrellas is a stamp by River City Rubber Works and the 'groovy' sentiment (is 'Wild Thing' running through your head right about now??!!) is from Verve Visual. It's cut with a Ribbon Tag Trio by Spellbinders and the ribbon is twill by Papertrey Ink. This card will be going postal to a life-long friend who has moved to FL - but still makes 'everything groovy'!! These girls even sort of look like us when we were little - I was the TALL one! I made this card with no layers - all the stamping was done directly on the card stock. 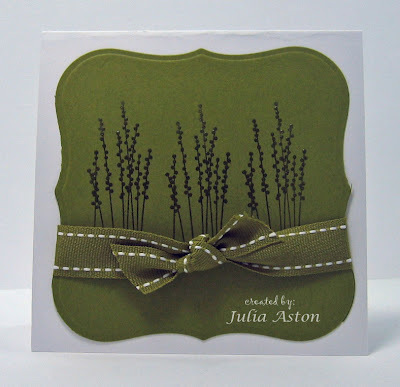 The only addition was a knotted twill ribbon around the top of the card. When I first started card stamping this was the only kind of card I knew how to make - and then gradually as I saw more and more cards on Split Coast - I began learning how to add layers until suddenly I found it really difficult to NOT add them! 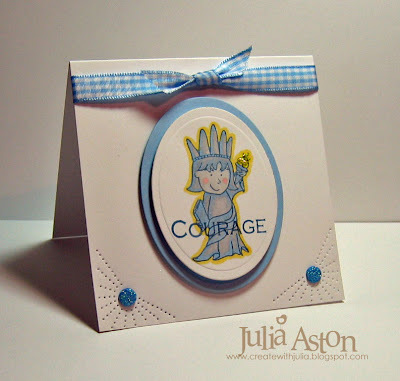 But todays Limited Supplies challenge on Split Coast was to make a clean and simple card (CAS) and it brought me back to my roots! After I got over the initial shock of one layer I enjoyed the great simplicity of it. You can view a whole gallery of simple cards here. 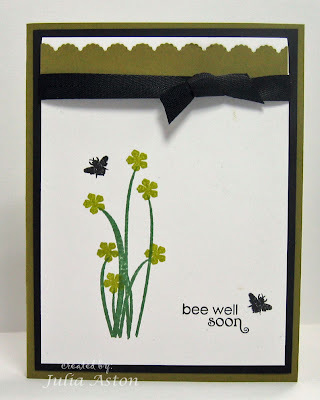 I used the With Sympathy stamp set from Papertrey Ink and 4 colors of ink. 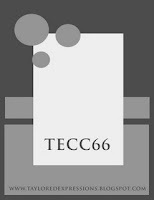 I actually made 7 cards of this design in the time it might usually take me to design and put together just one layered card. I ran out of the lavender twill after 6 cards so I used Spring Rain on the last one - Look how a different color ribbon can change the whole look of a card - I think the blue ribbon makes the blue butterfly pop a little more - what do you think?? Happy Friday night everyone - are you all going to be watching Football on Sunday!?!? We are - even though our Patriots didn't make it to the Superbowl this year! 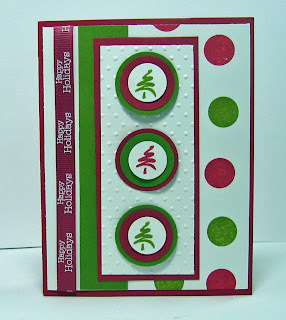 Here's my card for the Limited Supplies challenge on Split Coast entitled "No more holidays". No holiday stamps (Christmas or winter), no snowflakes, no red or greens, no holiday sentiments! I had these flowers already stamped on my work table from a card I did a while ago - so I thought they would work on a Thank you card. I also wanted to use my long neglected 'thanks' cuttlebug folders. I embossed a Labels One behind the blossoms to frame them. The blossoms are cut out and layered on various thicknesses of foam dimensionals. I also curved the petals around my finger tip. I added gold ice stickles to the centers for a little shimmer. I like how simple in design this card is. I'm still receiving wonderful Christmas cards in the mail from my SCS and blogging buddies. 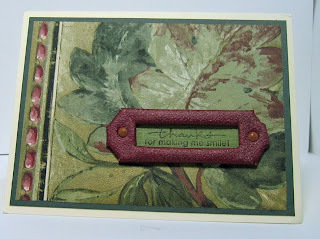 This beautiful card just arrived from Charlene (LilLuvsStampin). I love the repeated dots on background, cuttled panel and framings of the images on this! And isn't it funny how the colors on this next one from Anne (itsapassion)uses almost the same exact colors?! 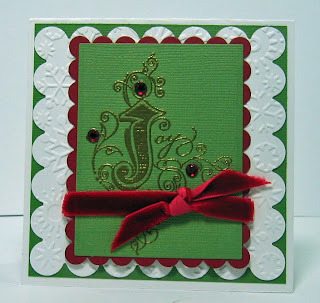 I love the beautiful embossed image and added jewels on this - and the velvet ribbon is just wonderful! I received this last card a while ago from Anne as a thank you card - could you guess that she used a piece of wallpaper as the background on this?!? 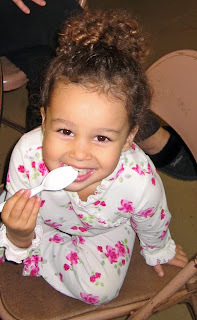 See her story here. 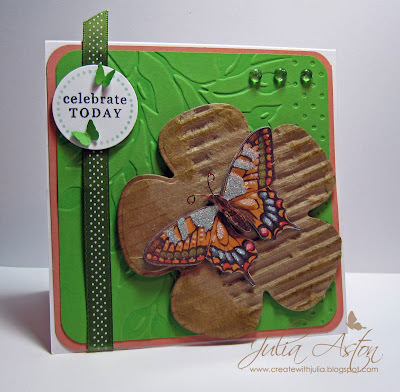 Here is my project for the Limited Supplies challenge over on Split Coast today where you had to use chocolate some way on your card - the color, or candy stamps, or something chocolate themed. It was so difficult doing this challenge today - I mean how many people really like chocolate - let's be honest...... (HA!) ok - so we all LOVE chocolate..... I decided to decorate a small gable box from Papertrey Ink with chocolate chip card stock, a chocolate and pink designer paper and chocolate ribbon! And isn't this stamp from Inkadinkado just terrific for this theme today?!?! I added jeweled flowers and punched butterflies. 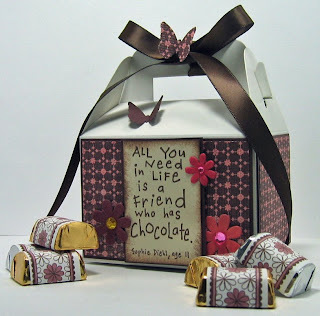 And, of course, I had to ADD chocolate for my box! The Avery labels on the Nuggets were stamped with a label stamp from Papertrey Ink set called Limitless Labels. The set came out last year and it's the first time I've used it! That's one of the reasons I love the Split Coast Challenges - it makes me use my stamps! I colored in some of the flowers on the labels with my Prismacolor marker to coordinate with the designer paper I used. There were several more nuggets in the pile as I was making this project - I wonder where they went???!!!?!?! 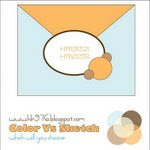 I made my first card for Heather's H&M Saturday Sketch/Color challenge seen here. And this is the card I made using the sketch. And you are invited to come and play along! 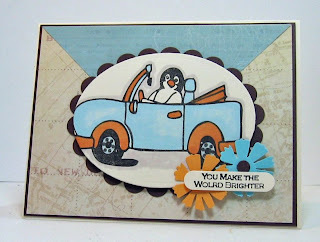 I used this fun Joy Ride Percy Stamp from H&M stamps as well as a sentiment from the set "A Lot Of Thanks'. The designer papers I used here are travel themed papers and have map images on them - don't know if you can see that too well on the picture. I think this makes a great masculine card that could be used for a guys birthday with the proper sentiment stamped inside! Hope you have a super weekend! I'm running a card workshop at my church and going to my God-Daughter's 3rd birthday party both on Sunday as well as going to a play with DH on Saturday - so it will be a busy one for me! Here is Eden - almost 3! A Frog and a Rock (On) ! First a reminder to check out my blog candy here. You can enter to win until 10/7. This is also for Heather's Saturday sketch and color challenge on her H&M blog - you can join in on it here and she is offering a discount to one winner - so go on over and check it out - and post your sketch or color challenge card there! I used my cuttlebug, circle punches, key tag punch, corner rounder punch and hole punch for the faux brads in the corner. I used Prismacolor markers to color my cute little frog. He is part of the H&M Stamp set called Dreaming of Princess Land. 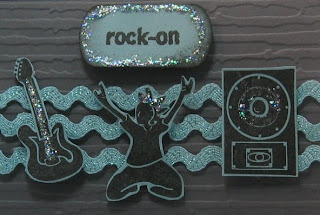 Instead of robots - I used Rock music images from a fun new set by H&M stamps appropriately called Rock On! I dry embossed the grey card stock background with my Cuttlebug and added this shimmery blue rick rack ribbon that I've had for ages (and finally used on something!) All the images are up on foam dimensionals. I used silver ice stickles for even more shimmer on parts of the images. Just when I thought my making Halloween cards was kind of jumping the season - here I go making a Christmas card! The Limited Supply challenge on Split Coast was to use Christmas themed animal stamps and we were also limited to just ribbon as an embellishment. 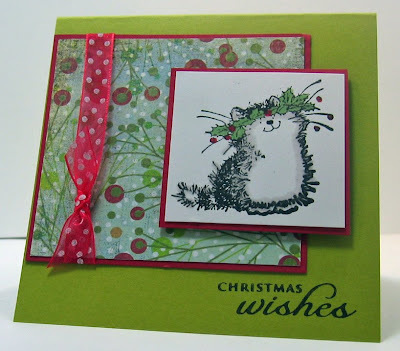 I used this fun little kitty by Penny Black from a set appropriately enough called Christmas Critters! I used the ever lovely Basic Gray Fruitcake DP and tied a sheer dotted ribbon around the panel. The sentiment is from Papertrey Ink Believe set. Of course on my first edition - I gleefully put red Stickles over the holly berries - and then realized 'oh, oh - no embellishments accept ribbon......" and had to restamp and color the image! That always happens to me with limited supply challenges - I forget the limits! This card measures a cute 4 1/4 x 4 1/4 and will most definately be one of my cards I send out this Christmas season! I hope you all have a super weekend! Thank you so much for stopping by today! DH and I are going to see the new Cirque Du Soleil show - Kooza - tomorrow with my sister and brother-in-law - I'm so looking forward to it! We go everytime the show comes to Boston.